He comes to Bratislava on November 4 with French Accordionist Richard Galliano for a performance at Atelier Babylon. In 1990, the American bassist Ron Carter and the French accordionist Richard Galliano recorded an album of jazzy duets entitled Panamanhattan. Recorded during a live concert performance in Paris, the album is a mix of sultry, witty duets featuring an instrumental pairing that is unusual in jazz. It could have easily been a disaster, but for Carter and Galliano, virtuoso musicians who are world renowned masters of jazz improvisation, the album was an instant classic. Mr. Carter, however, is not exactly aware of how well the music has withstood the test of time since he never got around to listening to the album, even now, more than twenty five years after they recorded it. Mr. Carter is almost apologetic about this lapse, but it is quite understandable. 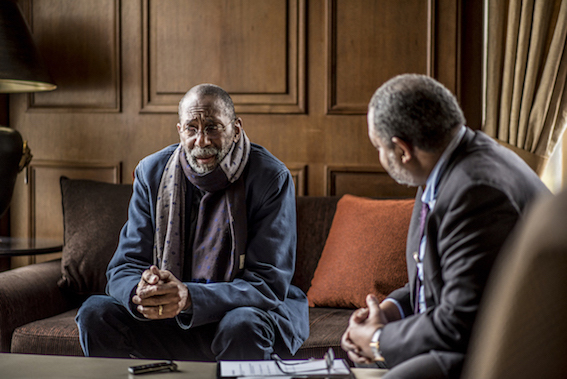 Ron Carter is a very busy man. 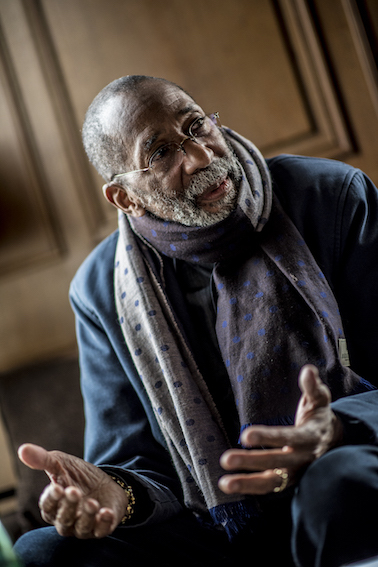 He has been a mainstay on the American jazz scene for more than 50 years as a performer, composer, author, and teacher. He has had the kind of long and prolific career that assures he will be remembered as one of the most accomplished figures in the history of American music. Mr. Carter rose to fame as the bassist in trumpeter Miles Davis’ legendary Second Great Quintet in the 1960s, along with Herbie Hancock, Wayne Shorter and Tony Williams. His work with Mr. Davis includes the iconic albums E.S.P., Nefertiti, Water Babies, Miles Smiles, Sorcerer, Filles De Kilimanjaro and others. Having led his own group and composed music for scores of albums, Mr. Carter has also worked as a studio musician, and performed as a sideman on more than 100 albums by musicians of every stripe. The range of Mr. Carter’s recording contributions is staggering, and includes albums with Herbie Hancock, Chick Corea, Grace Slick, Paul Simon, Stanley Turrentine, Grover Washington Jr., Harry Connick Jr., George Benson, Billy Joel, and A Tribe Called Quest. Incredibly, he has also had enough time to hold a day job, having taught for 20 years at City College of New York. Since 2008 he has taught bass in the jazz studies program at New York’s prestigious Julliard School. He has also won two Grammy Awards, one for his work on the 1986 film ‘Round Midnight, considered one of the best jazz movies ever made. Mr. Carter turned 80 years old on May 4, but he is as vigorous and active as a man half his age. He is touring again with Mr. Galliano this year in a series of concert dates across Europe that will bring them to Bratislava on November 4 at Atelier Babylon. His performance in Bratislava will be a rare opportunity to hear two of the world’s most accomplished improvisers performing selected jazz standards as well as original compositions. Of the nine songs on Panamanhattan, Mr. Carter wrote three of the pieces, while Mr. Galliano contributed four compositions. The songs are a mix of old world charm and jazz modernism that are melodic, lyrical, and easy on the ear. “The response from the audiences has been really overwhelming,” Mr. Carter says. “We have not gotten any critical reviews so I don’t know what the media thinks, but the people who come to see us have responded well to what we are doing, so I guess what we’re doing is alright, or alright enough. They seem to like us for whatever reason.” That was certainly true of his sold-out performance with Mr. Galliano in Vienna, where the two were received with much adulation after each song, and performed two encores at the end. The interplay between them showed two masters working at the highest level of musical craftsmanship. Everywhere that Mr. Galliano went, Mr. Carter was right there with him. It was a conversation in which both were equals, fluidly exchanging ideas as if they had known each other all their lives. They also took turns doing solo pieces, showing off their mastery of their respective instruments. Mr. Carter has discovered a rewarding collaboration in performing live shows with Mr. Galliano, and playing with the accordion, he says, is both challenging and surprising on any given night. It is said that great artists have several phases to their careers. Looking back over the arc of his career, at all of the great musicians he has played with, he compares each experience with being in the classroom with another master from whom he has learned. Mr. Carter does not think he has reached the peak of his career. After all these years of performing with so many different people in so many types of music, he does not consider himself to be a perfect performer. In fact he feels just the opposite; that he is still trying to master the simple things, like playing the exact chord tone in exactly the right place at exactly the right time. He describes himself as an “honest listener” who never stops critiquing his own playing, evaluating where he is or where he should be on any given night.